This seems to be Pinus rudis, from best I can tell! 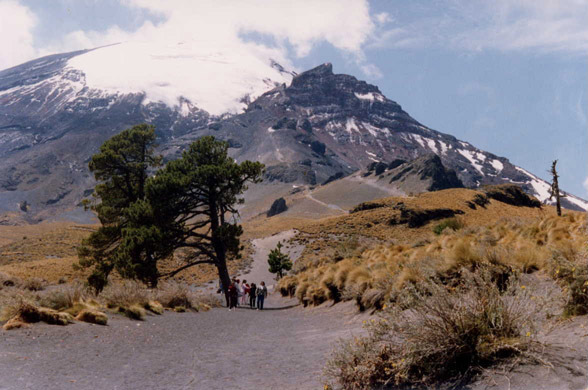 In front of Popocatepetl (5,414 meters). 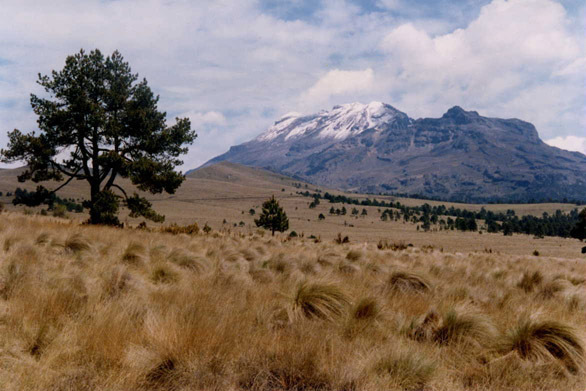 Near timberline at Paraje Minas, with Itaccihuatl (5,286 meters) in background. This forest was composed of several species of Pinus and at least one Abies species can be seen (dark trees). Possibly Abies religiosa. 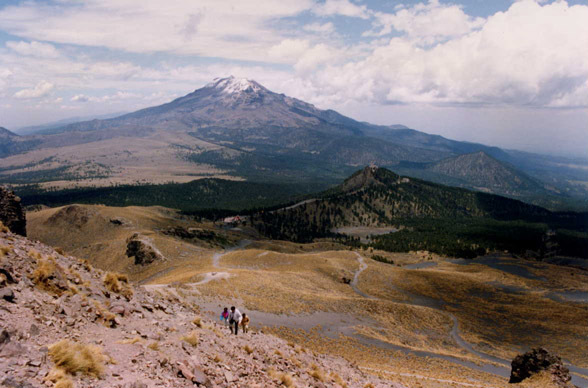 Timberline between Iztaccihuatl and Popocatepetl (two large volcanoes East of Mexico City). 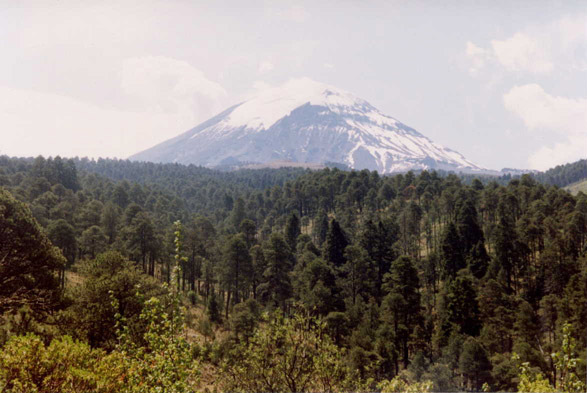 The forest is composed of at least 6 species od Pinus and several Abies.